Tuesday was going to be a long day at work, with that Youth Expo booth that I’d be working from 6-8pm. So I really wanted to get a good night’s sleep Monday night. I’ve tried different sleep aids in the past. Melatonin gave me headaches the next day, exercise in the evening simply gave me a shot of adrenaline, and alcohol interrupted my sleep every single time. What to do? Then, while washing and putting away the dishes after dinner, I remembered a yoga teacher in Austin (who had lived for years in an ashram, and has my respect) telling me years ago that nutmeg, the common kitchen spice, could make a person drowsy. My interpretation: “natural sleep aid”. I’d never tried it, though. So Monday evening, standing in the kitchen, just before putting a tablespoon (or two? Maybe more? Not sure… just dumped the rest that was in the little plastic baggie I’d gotten at the health food store) of nutmeg in my water and drinking it down, I thought, “Maybe I should google this first…” But then I glanced up at our spice cabinet… salt, sugar, pepper… all just cooking spices. And I’d just been cooking with nutmeg on Sunday. What harm could nutmeg POSSIBLY do? Woke up about 5:30 to pounding heart, disorientation, dizziness, nausea, and a host of other side effects. But because I didn’t know this about nutmeg, I had no IDEA it was even related. I didn’t know what was going on. Then it dawned on me that there might be a connection; and my heart sank. Stumbled over to the computer and managed to type in something coherent into the google search… And discovered that the awful side effects don’t begin to manifest until after 3 to 9 hours after ingestion. They were just beginning right then. I immediately contacted the ER, who recommended I call Poison Control. After stumbling through the recorded menu of options (“if you’re freaking out, press one…”) I finally got connected with Pam, my new best friend in the world who was working the poison control emergency hotline. Explained my situation as calmly as I could. She started looking up information for me. The more she looked, the faster she talked, until I finally heard her mention the word “concern”. She had buried that word near the end of a very long string of words, but it jumped out at me like a neon sign in the darkness. “‘Concern’?” I interrupted. That’s supposed to go at the very beginning, not somewhere down near the bottom of the verbal page, I thought. Like this: “I’m concerned. (pause for emphasis) I don’t want to alarm you but…” Didn’t she know the rules for crisis hotline engagement? Finally, she was talking too fast. It was too much. I had to stop her if I was ever going to get to ask her my specific questions. You know, “Am I gonna die?” That sort of thing. “Pam, I need your help, but you’re talking too much,” I said as calmly as I could. I was being rude… interrupting. This was no way to talk to someone I’d just met. She stopped and listened. She was kind and understanding; created space for me to ask my questions. Didn’t even seem to hold a grudge against me for cutting in. For the rest of the conversation, I felt a little guilty for having interrupted Pam. How much of this had to do with being looped out of my skull when I was supposed to be getting ready for work, and how much with the nuns back in elementary school? As long as I had someone watching me, it would probably be okay to stay home. Cheryl took the day off and stayed with me, calling and getting guidance from two family friends with nursing expertise. Aside from waking up every 2-3 hours, I’ve been mostly asleep for the past 24 hours. Mouth so dry it feels like cardboard. Stomach so numb it may as well be someone else’s. No appetite for the past 24 hours. That is NOT normal for me. And the constant feeling like I’m about to fall over. Again and again and again. Apparently it can take 2-3 days to get over these side effects, and mine are mostly gone. I’m still feeling a little too woozy to drive and function today, but I expect to be okay tomorrow morning. All this, courtesy of my kitchen spice rack. No, that’s not true. Actually, all this, courtesy of my restless unwillingness to take 30 seconds to check out the effects of what I’m about to put into my body. If you hear anyone talking about nutmeg outside the context of cooking, please send them my way. For the past year I have (very carefully) experimented with taking 1/4 teaspoon (tsp) of ground nutmeg with water before bed. I have had consistently favorable results. No negative side effects, and improved sleep without added drowsiness the next morning. Note: I’m talking about one level measurement of 1/4 teaspoon only in any given 24 hour period. When I used 1/4 teaspoon of nutmeg in conjunction with 1 tablespoon of the over-the-counter magnesium supplement “CALM”, I experienced even better results. At this point, having tested this for a year, I feel comfortable drawing the conclusion that ingesting 1/4 teaspoon (and no more!) of nutmeg in the evening is a good way to go in my life. As always, I’m only sharing my personal experience, and do not take responsibility for any results you may encounter. Please be very careful. I clicked the link…One of the side effects? “Sensation of Doom” That sounds like a death metal band name if I ever heard one. On the positive side there has to be a song in here somewhere right?!? Sensation of doom… pretty spot-on. And yes… there’s a song in here somewhere. Freakin’ yikes. Does it take you back to your college days? No. If I’d known about the side effects, there’s no way I would have even messed with it. And it’s probably a fantastic thing I did NOT know about it in college… I would have gotten terribly sick, no doubt. Lol. You should consider potato based vodka. Gluten free that is ! This is the equivalent ( 1tbsp nutmeg ) of downing a cup of grain alcohol. A dosage of no more than a 1/4 teaspoon of fresh nutmeg will do wonders for a restful night and no side effects. Use your brains when going into these things and one might live to see another day ! Thank you. Yes, I need to be more mindful. Since even Melatonin gave you a headache the next day, don’t you wonder if the problem lies with you and your body rather than the actual nutmeg? Thanks for your message. While the issue could very well lie within me and my own body, I don’t wonder about that — I just stay away from nutmeg now. If other people use it in ways that are helpful to them, then I’m happy for them. I simply wanted to share information about my personal experience in the hopes that others might benefit. 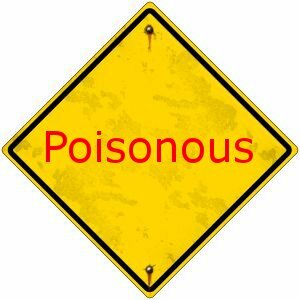 If it makes people check a little more closely and doing some research on toxicity before ingesting nutmeg, then my painful experience takes on new meaning for me. At the end of the day, we all make our own choices about how we live our lives. May you enjoy good health and happiness, if that’s what you want in your life. Thanks so much for posting this warning.I am searching for natural help with quality sleep and none of the other sites mention the dangers of nutmeg.You really helped. You are so welcome. Thank you for your feedback. I’m very happy to know it was helpful. May you find the perfect solution for your life. Wow that’s pretty scary stuff! Everything in moderation hey? If you’re still looking for a better way to get a good nights sleep try this recipe – http://allrecipes.com/recipe/moms-warm-milk/. You only use a quarter tsp. of nutmeg, and it tastes yummy! OMG! I was just telling a friend how I have trouble falling asleep and she suggested warming milk and grinding one whole nutmeg fresh and mixing it in a mug and she was so confident that it will solve the problem. And now for sleep ?? I was JUST looking up NUTMEG for a sleep remedy. SO GLAD I read this. I too found that even 1 mg of melatonin to give me vivid, disturbing dreams. Think I’ll get up at 4 to go to the gym, that should make me tired tomorrow. Thanks for sharing your experience. So glad it’s helpful. Good luck tomorrow at the gym! I don’t think I would want to drink anything with a full teaspoon of nutmeg in it. I work nights and had to change my shift to day-time. I was worried about falling asleep at a normal hour. I read up about nutmeg helping sleep, so I shaved a bit from an actual nut into warm almond milk, and I have to say that I have had the best sleep lately, no trouble falling asleep easily. So, I think you only needed a little bit, but maybe your reaction wouldn’t have been so bad, but sounds like nutmeg is not for you. I am trying it right now. I have recently stopped self medicating myself and smoking cigarettes so I am going to need something to buffer me or I won’t be able to continue to live here with my family without it turning into a murder suicide. I love nutmeg, but am very cautious about dosage. I had a little too much before teaching last year, and spent the morning giddy and probably a bit over the top. That was probably half a teaspoon. Nutmeg is a major flavoring in Coke btw. Take a whiff and think Coke, it’s kind of amazing. I wonder about the habit (at least in new england) about sprinkling nutmeg on coffee–most cafe’s up here provide a shaker, when I don’t see it I’m surprised, but I’m curious where that got started to be so pervasive. Perhaps, a sprinkle or two is an (unconscious) way of balancing off the negative side effects of caffeine, since in doses of a sprinkle or two it does have this reputation as a calming agent. Thanks so much for your comment! I’ve heard many people recommend 1/4 teaspoon as a good amount… now I see how lucky I was to survive 2 tablespoons. I’ve never heard of nutmeg sprinkled on coffee… I’m out here in the Rocky Mountains… it sounds interesting. ps, I discovered apricots this week and have been sleeping well–some early waking but staying in bed and falling asleep again quickly. First 7-8 hours’ sleep in ages. Apricots apparently have plenty of tryptophan. Apricots– do you eat them before bed? You might want to amend this title-nutmeg is a natural sleep enhancer. But you’re right, you do need to take it early enough because it’s effects begin much later in sleep. My husband has been formally studying through an herb course for over a year (longer on his own) and recommended to me to take nutmeg (1/2 t. or less) grated in a tea. I have early, early morning waking insomnia, so it has been very helpful to me to get a much better night’s sleep. It is known as a pungent herb, so you would notice thirst or dryness. My insomnia is quite severe, so living with the side effects of the nutmeg are NOTHING compared to being awake for several hours every night. Awesome! Here’s to your health! One bad experience, can put someone off anything. I feel bad that you still have a hard time using the spice. However if you ever want to get to sleep early or having a hard time, try warm milk, with honey to taste, a tsp of vanilla and a dash of cinnamon. It works wonders, I also find that if you shower right before bed than use the this recipe it works even better. Hey, thanks for saving my life! I’d have been the ‘dump a couple tablespoons from the jar’ kinda gal. Lol. Will try 1/4 tsp. Haven’t slept much in years since menopause mercilessly took over. Hi Regina, I feel your pain. Lately I’ve been trying Valerian Root tea in the evening and before bed, and it IS helping! I picked up some Alvita brand organic valerian root tea, and I’ve been making a big pot of tea using just one tea bag. I drink about 20 ounces (I know, right?!) a couple hours before bed, and then another cup or two right before bed, and it’s working for me. Best part is, when I wake up, I don’t feel all groggy like I do with benedryl. Also, I don’t go through a ‘twitching’ stage as I’m falling asleep, like I do when I take Valerian Root capsules. I hope this helps, and I hope you’re able to get some good sleep soon. I took maybe 1 teaspoon at about 3 am because my brother mentioned it. I slept very well. My husband woke me around 11 am and I have been groggy all day. I’ll cut back to 1/4 tspn next time and see what happens. I too have post menopausal insomnia. So taking 1/4 tsp will give you an pleasurable “trip” so to say without getting any bad side effects and for how long does the “trip” stay ? No, Michel, not a ‘trip’. Simply a calm and relaxed feeling, and an easier time falling to sleep. When I wake up in the morning after taking 1/4 teaspoon of nutmeg the night before, I feel no side effects at all. No additional drowsiness or anything like that. Just a feeling of being well-rested. I am so glad that I googled nutmeg as a sleep aid. I was telling a neighbour that my son with autism has sleep problems and she mentioned nutmeg boiled with cinnamon. Imaginebif I just gave it to my son. Thanks for posting your experience about this. Thank you for writing. It’s possible that in the appropriate dosage, nutmeg and cinnamon boiled together may be fine for your son. I encourage you to check with a naturopathic doctor to learn more. Here’s to your son’s health… and to yours. Thank you so much for sharing, Catherine. I hope you’ll check in with us down the road so we can benefit from your experience. Here’s to your health! Very interesting reading! Due to adrenal and chronic fatigue I began to rub a drop or two of essential oil, nutmeg on my back in the mornings. Well, my husband did. I can’t reach to the right place so I began to put it on my wrists a couple of mornings ago. These past two nights I have slept THE BEST I have in a very long time. The only thing I could attribute it to was the nutmeg oil thus I googled nutmeg and sleep and found your article. I had no idea. I am so thankful for the good, restful sleep. Only have been using this oil for a week or so since I am new to essential oils. So far, I am not experiencing any negative affects. Thanks so much for this info. I will have to check out nutmeg essential oil. To your health! I’ll try it and add this: after buying hundreds of dollars “worth” of natural sleep aids ,I found Sleep Complete by Buried Treasure – works for me. If someone wants a discount to try it.Go to iherb.com and put my code God682 in on first time order Get 5 OFF order up to 39.99. 10 off 40 or above …free shipping at 20.00. Otherwise 4.00 in usa. Thanks so much, dlana. I look forward to checking out Sleep Complete by Buried Treasure! Very interesting and helpful article. In high school (70’s) I had a friend who said she had smoked nutmeg to get high. 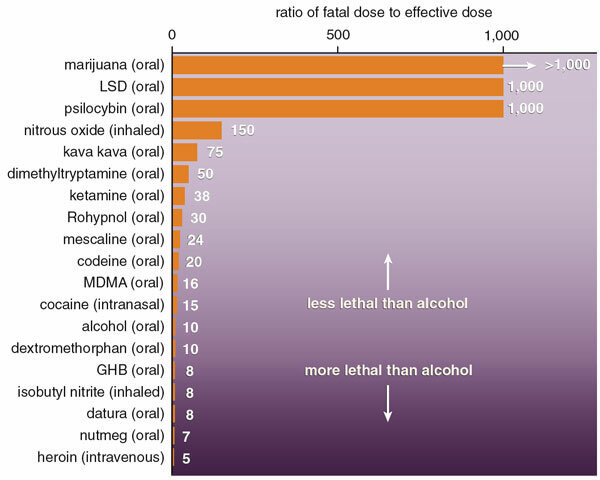 but another friend had told me nutmeg can be toxic, so I didn’t ever try smoking it. I did just drink about 1/8th tsp in warm milk with honey. Hope it helps. Thanks for your info. Thanks for your message, Judy. 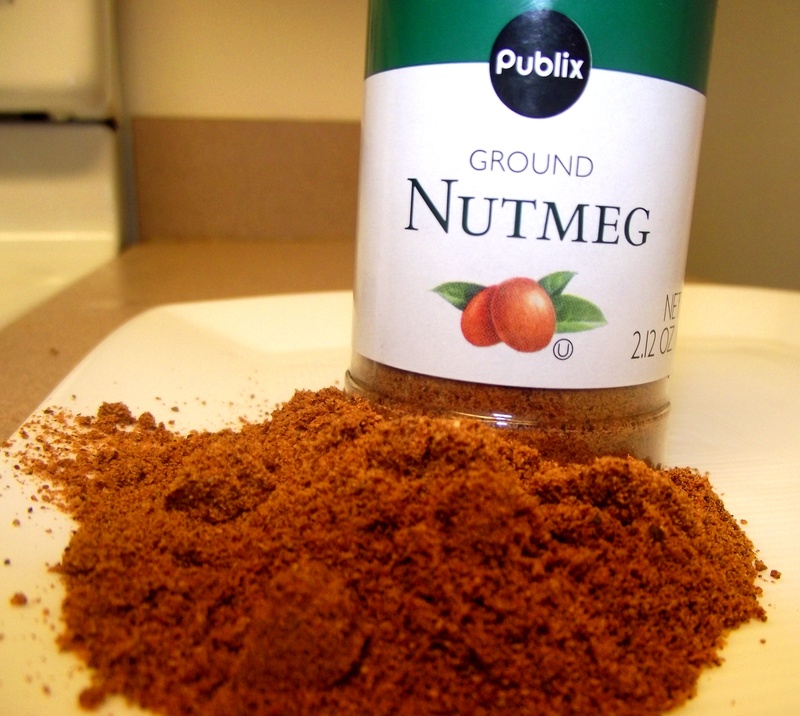 How did the 1/8th tsp of nutmeg work for you? We would love to hear more about your experience! I live in an apartment bldg and a new resident has taken to walking all eight floors in the middle of the night (insomnia, I guess). The problem is that my bedroom is right next to the stairs he uses several times a night. If I male a cup of Original (yellow label, Malt) Ovaltine, and add a small dash of nutmeg from the spice shaker, the I do not hear the night-time roamer and sleep right through – a precious thing after enduring 21 years of wicked fibromyalgia. Maybe I need to make the roamer a cup too. (I wish he would move out as I find it creepy that someone is roaming the halls all hours of the night). Ovaltine with a small dash of nutmeg sounds like a delicious remedy. I’m really with you… A good night’s sleep is SUCH a precious thing! It makes all the difference. Here’s to good sleep, self care, and boundless energy for sharing your light and love in the world! I was drinking some pretty hot tea reading this advisement and tea burns coming out your nose as opposed to going in your mouth. It was funny and serious at the same time. I have been trying it. I give my friends this link to see if it may help them too. Thanks for your support, Preston. Here’s to your health! I seen on a baby blog you could use nutmeg for babies said just a dash but still I’m glad I did my research! I have 4 kid only one sleeps thru the night! Nutmeg off my list! Yes… Please be VERY careful. Ask your doctor before giving a child nutmeg. Yes, I have obviously made that same mistake. Hopefully we learn and grow from our mistakes, so we can live a full life and be of service to others.